Limburg, 1943. 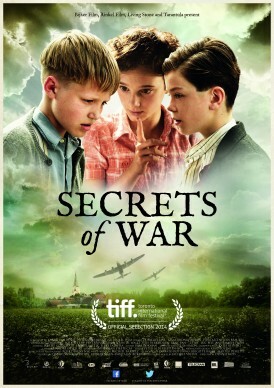 Twelve year olds Tuur and Lambert are childhood friends living in an idyllic village during wartime. A war that separates what has lived together for so long. Tuur’s parents are secretly taking sides with the resistance while those of Lambert join the NSB. Then Maartje, a new girl who reportedly comes from the west, enters the lives of the boys. She has a big secret and decides only to share that with Tuur. A choice that drives the boys apart and eventually brings Maartje in great danger. Not only will Tuur probably lose his friendship with Lambert, but his whole family could be at risk. He will have to do everything in his power to safe both.